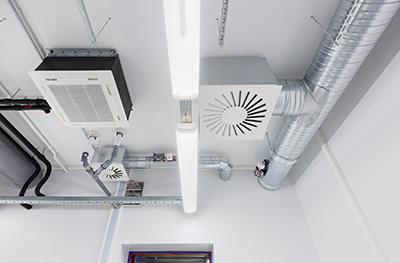 Blog | Should I Have My Air Ducts Cleaned? Our air duct cleaning company can make your visitors love your premises because of the fresh air that they can breathe. Air Duct cleaning has been shown to have several benefits, including helping to prevent certain health problems. Those with respiratory problems may benefit from the reduction of allergens in the indoor air. Households may see a reduction in the amount of dust as well. If you have persistent problems inside your home, Professional Air duct cleaning can help. How Often Should I Have Them Cleaned? Most Air Duct cleaning companies will state that cleaning should be done once every three to five years. However, there are certain factors that may require more frequent cleaning. Consider the size of the house, the number of occupants, and whether or not there are pets or smokers. Each of these factors may make more frequent cleaning necessary. There are a few different methods of cleaning but, for the most part, all methods use some sort of vacuum. One method involves attaching a high-pressure air hose to your duct system to remove particles from the inside of your duct work. HVAC Air Duct Cleaners can also use a large high-powered vacuum along with a brush that will clear away debris from the interior walls. The particles are then removed via the vacuum. There are numerous pollutants in your indoor air. Dust mites, mold, and much more will find their way into your home and eventually into your home’s airways. The particles become trapped along the interior walls of your ventilation system and pollute the inside of your home. Getting rid of these pollutants can help anyone with allergies or other respiratory problems. 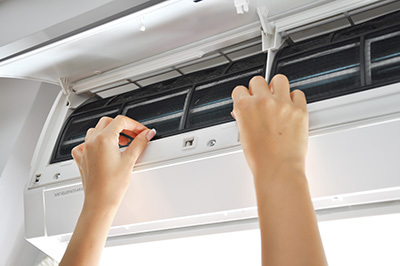 A clean heating and cooling system operates more efficiently. A more efficient system means that it does not have to work as hard. In the end, it means that you spend less. A more efficient system will last longer. 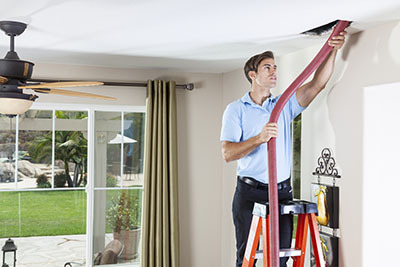 Proper Air Duct Maintenance will protect your HVAC system.